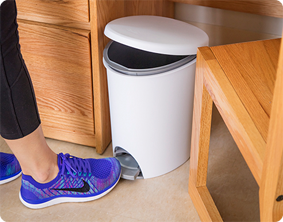 The 2.6 Gallon Ultra™ StepOn Wastebasket provides convenient, step-on access for hands-free opening while hiding contents from sight. 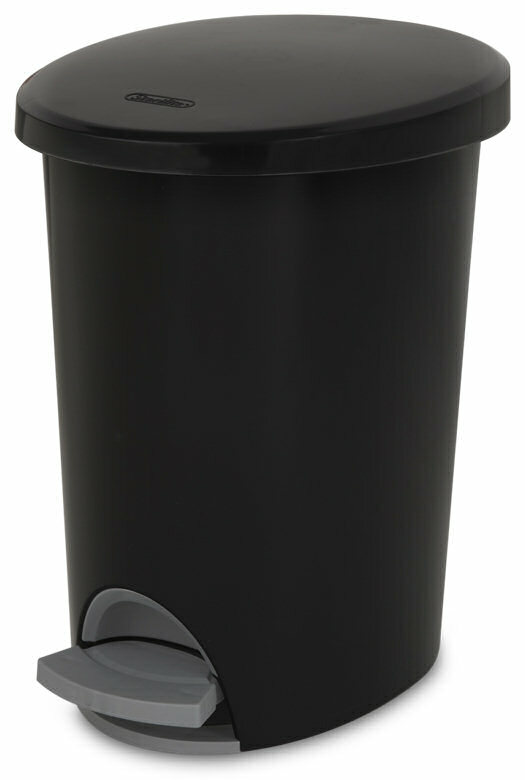 The lid opens easily by stepping on the foot pedal and closes tightly when released. 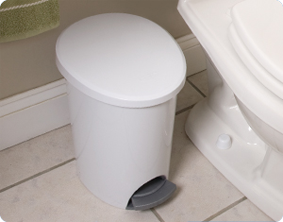 The slim, oval design makes this wastebasket ideal for use in narrow spaces within the bathroom, bedroom or home office and the lid helps contain odors. 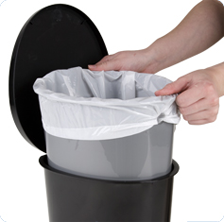 The removable liner includes a bag holding feature that helps keep a standard plastic shopping bag or 4-gallon trash liner in place when the wastebasket is in use. 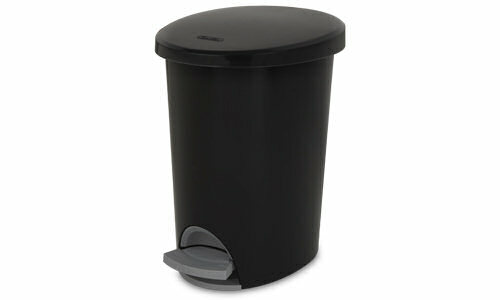 This Wastebasket has a smooth textured surface that is easy to clean. The overall dimensions of this item are 11 1/2" L x 9 1/4" W x 13 3/8" H.
Overall Assembled Size: 11 1/2" x 9 1/4" x 13 3/8"
Ideal for use in narrow spaces within the bathroom, bedroom or home office. 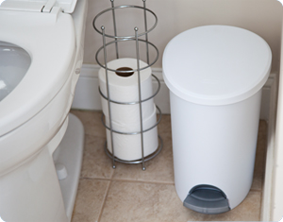 Ideal for small bedrooms and dorm rooms where space is limited.